The UK-based international air transport rating agency named gave Singapore’s Changi Airport the top prize for the seventh consecutive year. This marks another clean sweep for the Southeast Asian city-state, as Changi Airport-based Singapore Airlines is the current Skytrax airline of the year. The survey, which involved more than 13 million travelers globally, also saw Singapore win the award for world's best airport leisure amenities and best airport in Asia. Respondents were asked to rate airports across different data points, including check-in, arrivals, transfers, shopping, and security and immigration. Asian airports dominated this year's list, taking six of the 10 top spots. Tokyo International Airport (Haneda) came in second, followed by South Korea's Incheon International Airport in third. Hong Kong came in fifth, while Japan's Chubu Centrair Nagoya and Tokyo Narita ranked sixth and ninth respectively. Silent airport Doha crept up one space to number four. Described as one of the most architecturally significant and luxurious, Doha's Hamad Airport is announcement-free with the silence only broken by a call to prayer five times a day. Three Japanese airports featured in the top 10, with Narita a new entry at ninth position. Narita's edge may have been its unique running track designed to celebrate the city hosting the Olympics in 2020, but it also makes the dash to the departure gate in Terminal 3 a little easier. No matter what airports introduce to entertain passengers, no one has an edge quite like Changi - which is only days away before opening the hotly anticipated Jewel terminal. Costing $1.78 billion, the giant donut-shaped, 10-storey structure will feature the world's largest indoor waterfall, a "forest valley" with 3000 trees, walking trails, a playground and more than 280 shops and restaurants. 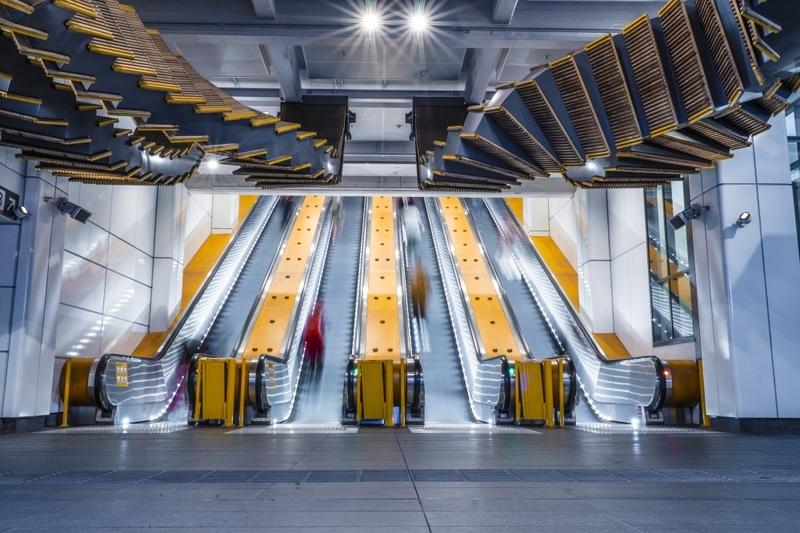 Set to open on April 17, it will connect to terminals one, two and three, which cover both Qantas and Singapore Airlines flights to and from London. Skytrax's CEO, Edward Plaidsted, said the new launch would add another "unique dimension" to Singapore's leading position. "To be voted the world's best airport for the seventh consecutive year is a truly fabulous achievement for Changi Airport," said Plaisted. 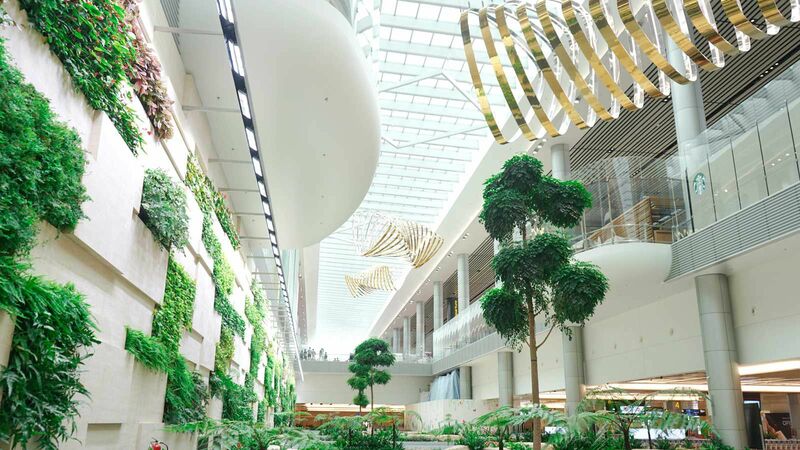 "The opening of the Jewel Changi Airport in April 2019 looks set to add another unique dimension to the experience for Changi Airport customers."